Only you can help fill the gaps. Join with us to support the #MissingType movement. Schedule a blood donation appointment at RedCrossBlood.org/MissingTypes and spread the word on social media using the official #MissingType campaign hashtag. 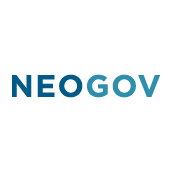 "NEOGOV understands that giving blood and donating to the Red Cross saves lives which is why we support the Red Cross through employees giving blood and through donations,” said Shane Evangelist, NEOGOV CEO. One letter and one person can change everything for patients in need. The #MissingType is you. Join us today.